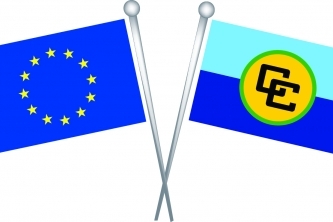 Developing, in collaboration with the CARICOM Secretariat, roles, functions and Rules of Procedure for such Committees as may be established in furtherance of the regional Crime and Security agenda. 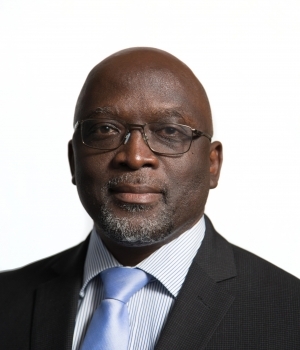 IMPACS is headed by an Executive Director who reports to the CARICOM Council of Ministers for National Security and Law Enforcement. 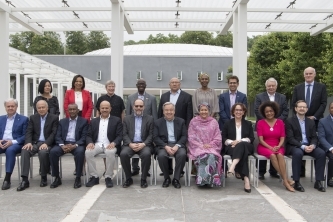 The Council is responsible for the policy and overall direction of the activities and programmes of IMPACS. 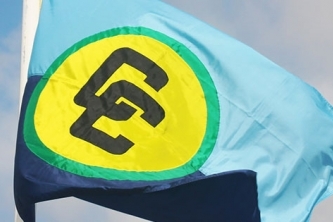 Within its fold, is a special department of IMPACS, called the Regional Crime and Security Strategy Central Coordinating Unit (RCSS-CCU) formerly known as the Liaison Office, and two sub agencies: the Joint Regional Communications Centre (JRCC) and the Regional Intelligence Fusion Centre (RIFC). These sub agencies were formed for the purpose of supporting the Regional Security Strategy for International Cricket Council Cricket World Cup 2007 (ICC CWC 2007). 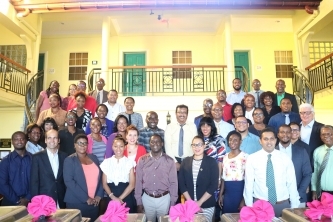 As a result of the successes of these agencies, the Heads of Government at its Eighteenth (18th) Inter-Sessional Meeting in St. Vincent and the Grenadines in February 2007 endorsed a proposal for the permanent establishment of the sub-agencies. 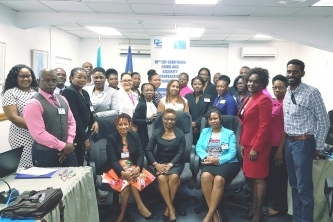 The Joint Regional Communications Centre (JRCC) is the central clearing house for the Advance Passenger Information (API) and acts and on behalf of individual CARICOM Member States for the purpose of pre-screening passengers from air and sea carriers traversing the Region. In 2013, the Agency commenced activities geared towards the implementation of an Advance Cargo Information System (ACIS) and it is anticipated that this system will be operational by 2015. The JRCC acts as a conduit to ensure effective communication among Law Enforcement personnel, which is necessary to enhance border control related activities. The JRCC assists regional law enforcement personnel in the detection of persons who are travelling with stolen, lost and fraudulent travel documents, along with the identification of and monitoring the movements of persons of interest, including those who may be a high security threat to the safety and security of the Region. The Regional Intelligence Fusion Centre (RIFC) provides intelligence support to key stakeholders in an effort to detect, deter and control crime within the Region. 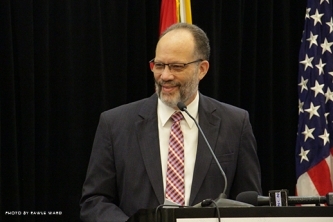 The Centre works closely with the JRCC in providing intelligence information to regional security agency personnel and other stakeholders, while providing strategic analysis of threat entities in the Caribbean Region. 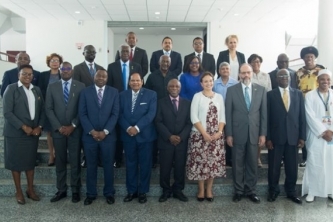 The Regional Crime and Security Strategy Central Coordinating Unit (RCSS-CCU), formerly known as the Liaison Office, provides critical technical support, advisory services and assistance to Member States, in facilitating the fulfillment of CARICOM IMPACS' mandate. 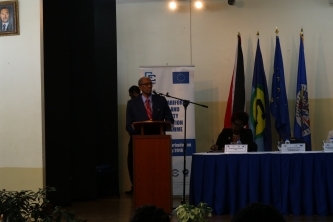 The Unit coordinates the various activities of the regional security groupings within the CARICOM anti-crime and security management framework. 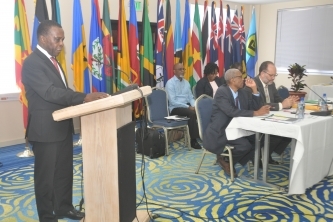 The RCSS Central Coordinating Unit, played a major coordinating role in the construct of the CARICOM Crime and Security Strategy (CCSS) which was adopted by the Conference of Head of Government in February 2013, and is coordinating the implementation of the Strategy at both the national and regional levels. The Unit is resourced with a Regional Crime and Security Strategy Coordinator and Specialist Advisors in Law Enforcement, Military Affairs and Border Security. There is also a Committe Coordinator within the Unit, which allows for a direct link with Member States, Law Enforcement, Military, Customs, Immigration and other regional security agencies. The RCSS Unit is the main point of contact between IMPACS, Member States and international agencies such as INTERPOL, UN Agencies, OAS and SOUTHCOM.